The Worst Injuries in NFL History! The NFL is one of the most dangerous sports leagues to play in. This is why the players are decked out in gear and pads as they take the field. Tackling each other with brute strength and making cuts on the stop of a dime can be lethal to the body. If there is any qualifier that proves just how detrimental this sport can be it would be the gruesome injuries. Let’s take a look back at some of the worst injuries in NFL history. 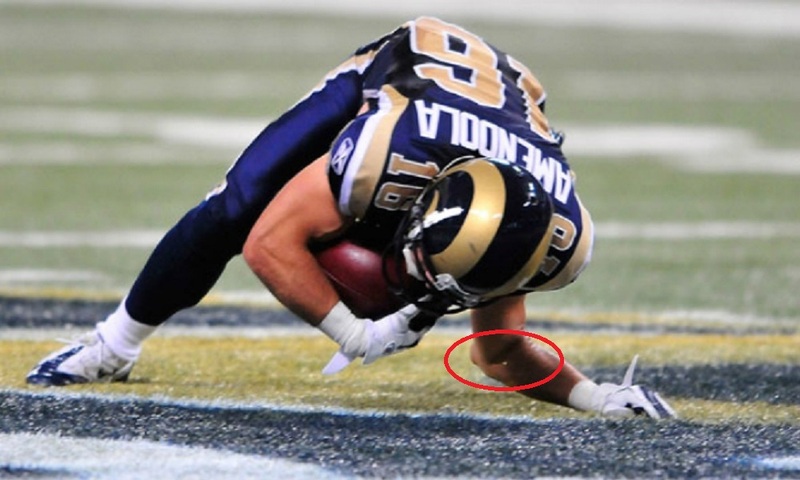 The Super Bowl champion Danny Amendola was once the number one receiver on the St. Louis Rams heading into the 2011 season. Unfortunately, during the first game of the season he ended up dislocating his elbow when he came down on it wrong and as a result, he missed the rest of the season.